Product code: W559 Categories: Sold Items, Sold Watches. 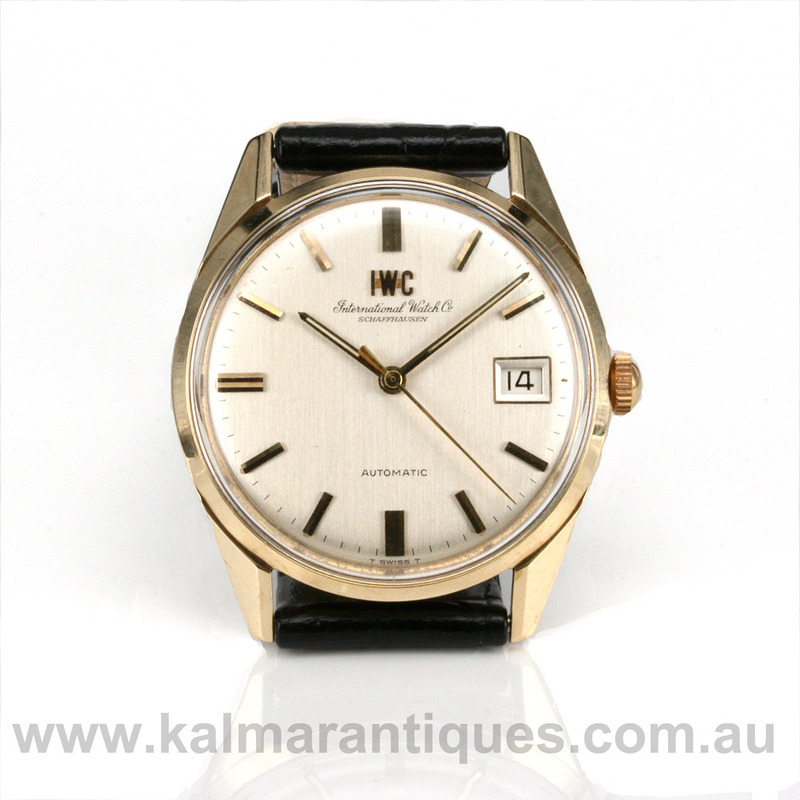 If you love vintage watches as much as we do, then here is a fantastic vintage 1970’s IWC wrist watch with the calibre 8541B automatic movement. Still regarded as one of the best movements not only to come out of IWC but any watchmaking company in the world, this vintage IWC has the infamous and highly regarded 25 jewelled automatic IWC calibre 8541B. Designed by Albert Pellaton who was the technical director if IWC, this automatic movement has an ingenious system that included the ability for the automatic rotor to wind the watch regardless of which direction the rotor was turning. 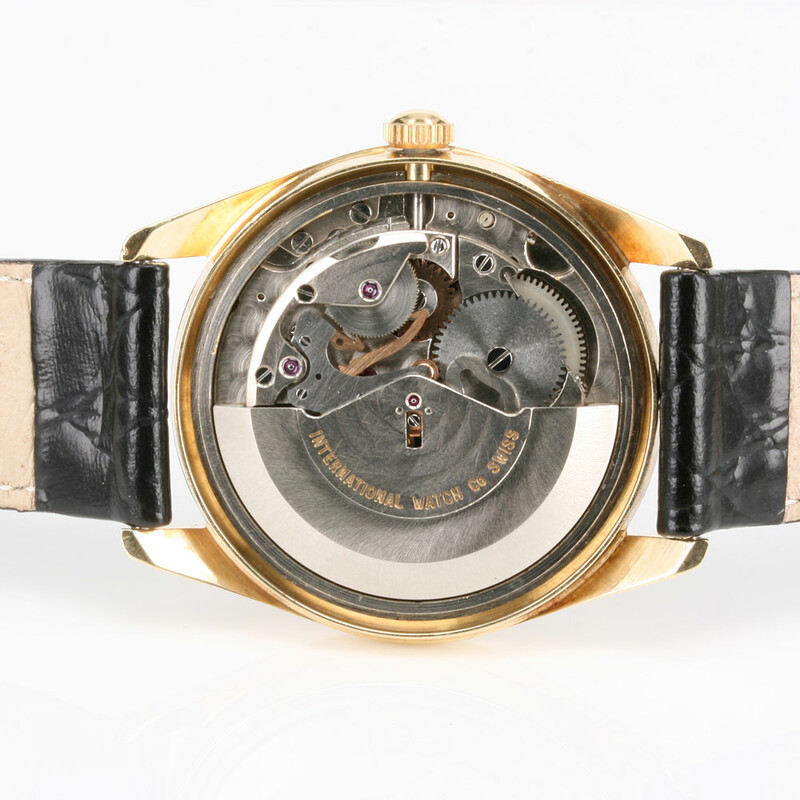 Fitted with a micro-regulator to guarantee accuracy and this among various other features make this one of the most accurate and well regarded watch movements in any watch back then and even today 40-odd years later. The dial is so simple and easy to read with the addition of the centre sweep seconds and date window, and the gold capped case measures 34mm across plus the crown however don’t think that this is a small watch as it really looks so good on the wrist no matter where or when it is worn. With the transitional dial displaying IWC in large font as well as the earlier “International Watch Company Schaffhausen” in its distinct font, this watch is one that looked good when it was made in the 1970’s, looks good today and will continue to look good well into the future. Fully serviced and complete with our twelve month warranty, this vintage IWC watch with the fantastic 8541B calibre is a really sensational watch both inside and out.